Welcome to the world of Affordances! Originating in the Gibsonian theory of qualifying objects by the functionality rendered, 'affordances' or functional descriptors afforded by objects have been used recently for perceptual object definitions using the principle of 'form follows function'. 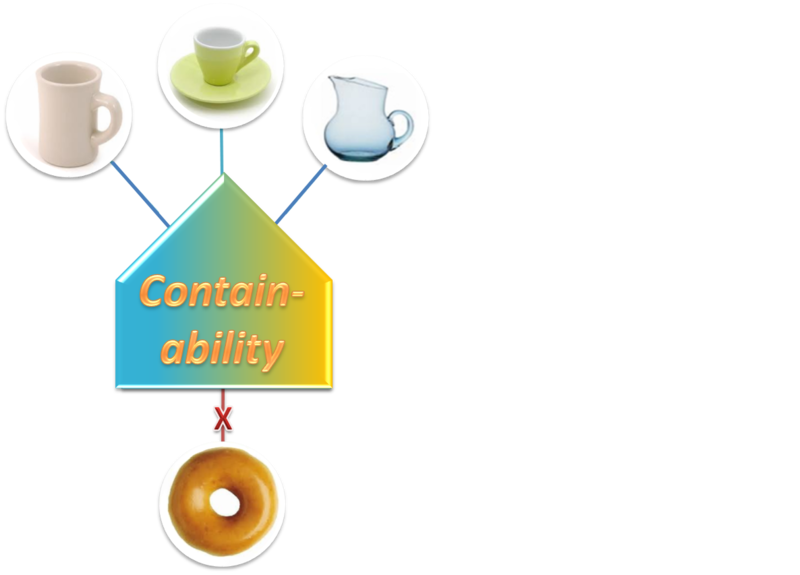 Component or part affordances, which describe the functional (structural, material) and semantic properties along with the topological relationships between parts are key to building a generic, scalable and cognitive architecture for such object class recognition and visual perception systems. These affordances are not just an arbitrary set of features for object representation, instead affordances present an evolutionary and psychophysical model to visual perception. Grounded in the evolutionary psychophysical theory of 'Karmic Tabula Rasa' or 'k-TR' and engineered for practical systems using the principle of 'Recognition by Component Affordances (RBCA)', affordance features form the basis of generic object recognition and interaction for intelligent systems. AfNet is the Affordances Network Database, which currently contains affordance feature definitions for over 250 commonly found objects and conceptual equivalence classes. Check out some of the available affordance features or look up affordance feature descriptors for common objects. Alternatively, you can download the stable release of the entire AfNet database in SQLite format. You can also teach AfNet new affordance types and affordance definitions for new object types. Furthermore, you can contributed to the knowledge base by voting on existing affordance definitions. Your inputs are added to the incremental AfNet database, available for immediate use and will also be incorporated in future stable releases after statistical regularization. AfNet and the associated research are the contributions of Karthik Mahesh Varadarajan and Markus Vincze at the Technical University of Vienna. Please contact karthikmaheshv(at)gmail.com or kv(at)acin.tuwien.ac.at for queries. We plan to have workshops geared at greater integration of affordance communities through AfNet in the following months. Check out our upcoming workshops at RSS and ECCV here. Standardization of affordance terminologies and processes across varied affordances communities is an ongoing effort. To look up definitions or make contributions, go here. Please visit our forum to contibute to discussions on usage and applications of affordances. Publications on affordances and functional features as they relate to cognitive vision and robotics, from various groups, can be found here. Additional resources and links to affordance resources can be found in the resources section.